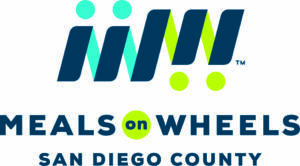 Meals on Wheels San Diego County has been part of the community safety net serving older adults in the home with care services for over 58 years. The program is designed specifically to address food insecurity, declining health and social isolation. The organization serves all of San Diego County, including the rural and unincorporated areas with services that include the delivery of up to two fresh meals a day by a caring individual accompanied by a daily safety check and much needed social visit. For seniors who are experiencing significant challenges at home and need additional support, Meals on Wheels provides one-on-one support and follow-up through its NEW care navigator service. The Care Navigator works with the senior and the appropriate support resource to ensure services are provided. The organization’s primary goal is to monitor each senior’s quality of life and provide the support and compassion they need to age safely at home.